Starting in 2004, Chamber Celebration, Volunteer Appreciation, and Board Installation has served as the Chamber's kickoff event for the new year. The purpose of the event is to say “thank you” to those that have supported the Chamber in the past year through their volunteer and sponsorship efforts. Awards given include: Overall Volunteer of the Year, Committee Volunteers of the Year, Outstanding Supporters, and Outstanding In-Kind Donors. This event also provides an introduction of the Board of Directors to the Membership and serves as their formal installation event. The Board of Directors is truly the heart of Chamber leadership, and this event is a wonderful opportunity to meet these esteemed individuals. All Chamber Committees are present to receive recognition and recruit new members. Each committee works hard throughout the year to host the best event possible. This is a fun, festive, and lively event for the Houston West Chamber! Start out the New Year with a BANG! Come get involved, meet the leadership of the Chamber, and have a wonderful time! 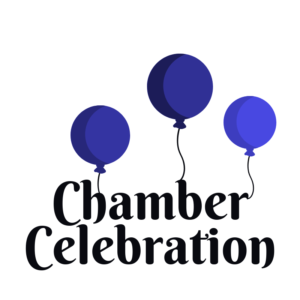 Stay tuned for Chamber Celebration 2020.